If you’ve been interested in Paleo for any length of time, you probably know at least a little bit about the hygiene hypothesis, even if you don’t know it by that name. Basically, the premise goes like this: humans aren’t born with totally functional immune systems. Starting from the day we’re born, our bodies have to “learn” what to attack and what not to attack. Back in the caveman days, our immune systems developed in an environment full of human and animal germs. Our immune systems also had to work around parasite infections (without water filtration, almost everyone had at least a couple parasites). But today, most babies and children are protected from germs to a much larger extent than they ever used to be, and modern water sanitation means that few people in the industrialized world have gastrointestinal parasites. Overall, this is a very good change. Parasites are generally bad for you, and getting rid of them is generally good. Don’t get caught up in the blind search for everything “natural:” not all natural things are good, and toxoplasmosis is a prime example! But even though parasites are dangerous overall, they had a silver lining in the form of immune system regulation. Particularly notable here are helminths, a class of parasites that regulate your immune system to ensure their own survival. The down side to having fewer helminth infections and less exposure to infection is that it puts your immune system on a hair trigger. The modern reduction in parasite and infectious burden is one of the ways scientists explain rising of allergic disease (that’s the immune system freaking out about something harmless like dust or pollen), and autoimmune disease (the immune system going haywire and attacking your own body). This explanation, called the hygiene hypothesis, was initially supported by various different associations. For example, children who live on farms or children in big families with lots of siblings (exposed to a lot more variety of germs) have lower rates of allergies. But more recently, this has actually been tested directly. Children with helminth infections have reduced reactions to allergen skin tests. In mice, helminth infection reduces allergic airway inflammation. 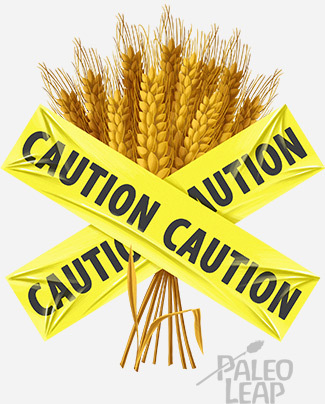 Wheat: not a problem for people with celiac disease as long as they have hookworm infections? It sounds crazy, but that’s what the study found! Researchers in this study looked at patients with celiac disease. The researchers infected the subjects with a type of parasite called hookworms. Gross, sure, but the results were incredible: the normal gut flora problems associated with celiac disease almost completely disappeared, microbial diversity increased, and the subjects started being able to tolerate a moderate gluten challenge – parasite infection significantly reduced their autoimmune response. Another review went into more detail about how hookworm infection suppresses the inflammatory response in celiac disease. In this study and this study, infection with whipworm eggs dramatically improved symptoms in patients with Inflammatory Bowel Disease (another autoimmune/inflammatory gut disease). The whipworm infection reduced inflammation and symptoms – some patients even went into remission. Helminth infection may be protective against multiple sclerosis. There really does seem to be some kind of effect of helminth infections on the immune system, and it might have consequences for autoimmune and allergic diseases. So, being too clean is causing chronic problems for our immune systems’ ability to regulate themselves. But there’s an obvious problem: nobody wants to infect themselves (or their kids) with hookworms! And even if you did, there’s no safe way to do it outside of a study anyway, so it’s just not a reasonable option. This is not suggesting that all parasite infections are good, or that the immune effects of parasites outweigh the obvious and serious problems. There’s a reason why we work so hard to keep our water clean. But there might actually be a way to get some of the benefits of parasite infections without the actual parasite infections, by modifying the gut biome. 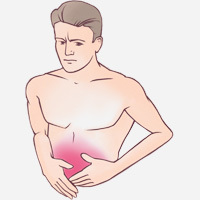 This article explains how the effect of helminths on immunity and inflammation is partly mediated through bacteria in the gut. For example, that earlier study where helminth infection reduced allergic inflammation in mice? If you wipe out the mice’s gut flora beforehand, it doesn’t work. The anti-inflammatory action of the helminths needs the gut biome to be effective. On the other hand (and admittedly also in mice), you can protect a mouse against allergic asthma just by giving it the gut bacteria of a helminth-infected mouse. You don’t have to give it the actual parasites, just the type of bacteria they encourage. That makes sense: the gut biome is a huge player in the immune system and does a lot of work to help your body distinguish between friend and foe. SCFA-producing bacteria: In the mouse studies, helminths increased production of short-chain fatty acids (like butyrate!) thanks to increased levels of various bacterial species. Bacterial diversity: In a lot of the celiac studies, helminths increased bacterial diversity, or the total number of different species of bacteria. Other studies have shown that bacterial diversity is associated with other good things as well, including a lower weight. It’s very possible to increase bacterial diversity and numbers of SCFA-producing bacteria without parasites. In fact, we even know of several groups who are doing exactly that! In one of the studies above, the researchers compared the bacteria of the helminth-infected mice to bacteria of people in non-industrialized countries who eat traditional, high-fiber diets and don’t take a lot of antibiotics. It’s unlikely that this would re-create all the effects of parasite infections: even the studies on the gut biome agree that parasites also have direct effects on immune modulation that don’t depend on the gut flora. But it’s also probably a big step towards getting the benefits of parasite infection, without the need for actually dangerous parasites. There’s a reason why we purify water now: gastrointestinal parasites are really no fun. Again, nobody is suggesting that you should go out and infect yourself with hookworms. The drawbacks of parasites definitely outweigh any potential benefits. But even things that are dangerous on average can have a silver lining, and the silver lining of parasite infections was the way they suppressed immune-related inflammation in the human gut. Eating as fiber-rich of a diet as your gut can tolerate. Not everyone does well on high-fiber diets, but get as many different fruits and vegetables as possible, and prebiotics if you can tolerate them. Avoiding antibiotics when it’s reasonably possible. Managing stress (stress is a killer for the gut flora!) and getting enough sleep.